Her stories tell us the most common and small things from everyday life but with an interesting and comical insight. 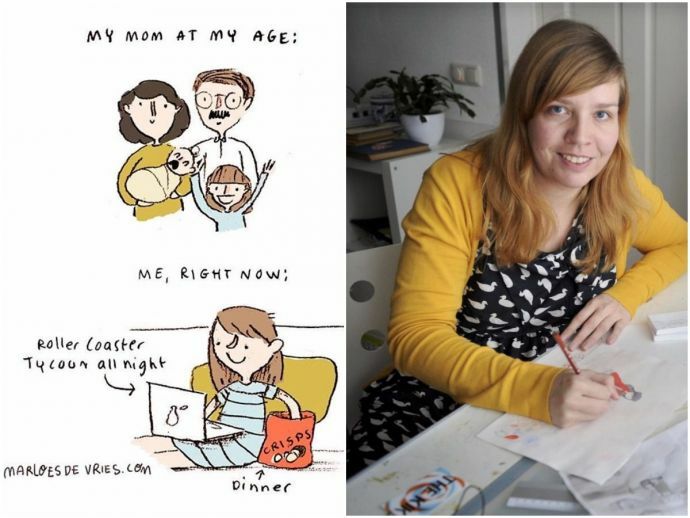 A Dutch illustrator, Marloes De Vries, takes up all the everyday stories and turns them into chucklesome comics. Her stories tell us the most common and small things from everyday life which will make you go ‘i know right!’ with every illustration. Yes, do test my calculating skills, please. Weekend thoughts ???? How was your weekend? "I'll clean up tomorrow. Promised. I will. Pinky-swear." This is for everyone that has been put down one time or another. Hold on tight! Okay!! One more..as a bonus. Cause we can't stop sharing! !